We’ve reached the final and the loudest stage at this year’s Rakrakan Festival: OPM Against Drugs, the SLAM stage. The name clearly describes what’s going to go down at this stage; heads will be banging and bodies will be slamming at the mosh pit. Fans of the artists performing here are possibly the wildest bunch you’ll see in any music festival. 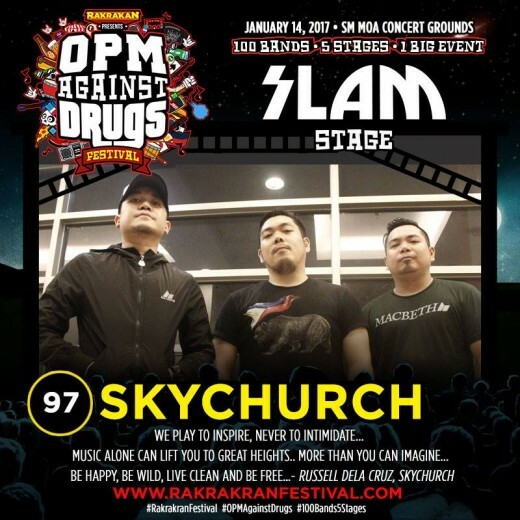 Last year, I’ve noticed how insane the crowd can get at the Mosh stage and this year, Rakrakan Festival leveled up with the Slam Stage. You need to have a strong will and an able body to survive the pit, I kid you not but a great thing about these fans, they got each other’s back. When someone falls, they pick them right back up. 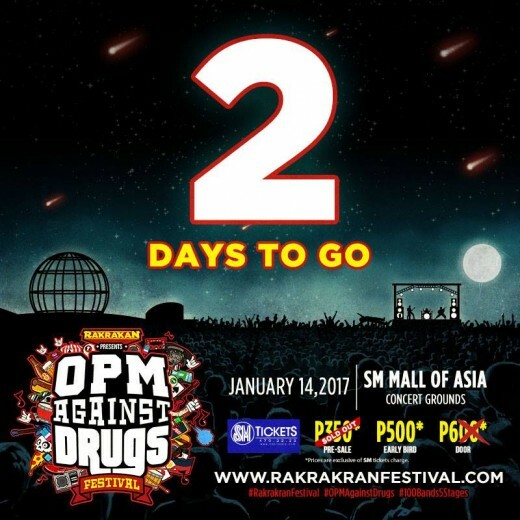 Regardless of whatever type of music you love, everyone is welcome at Rakrakan Festival: OPM Against Drugs. Here are some of the bands that are going to perform on the Slam Stage at this year’s Rakrakan Festival: OPM Against Drugs. Completing the line up for the Slam Stage are WUDS, Philippine Violators, Mr Bones and the Boneyard Circus, Bad Burn, The Late Isabel, Insekto Pares, David and Goliath, April Morning Skies, Galaw Tao, Pile Driver, Morphone Kings, Iscariot, Lostthreads, Orb of Bloob, Runbynine, Subculture and Switch.We’re only 2 nights away from the biggest and loudest OPM event of 2017! 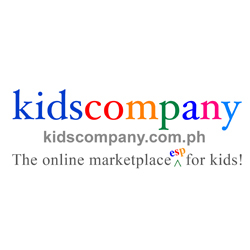 Tickets are still available at SM Ticket outlets and at the venue. 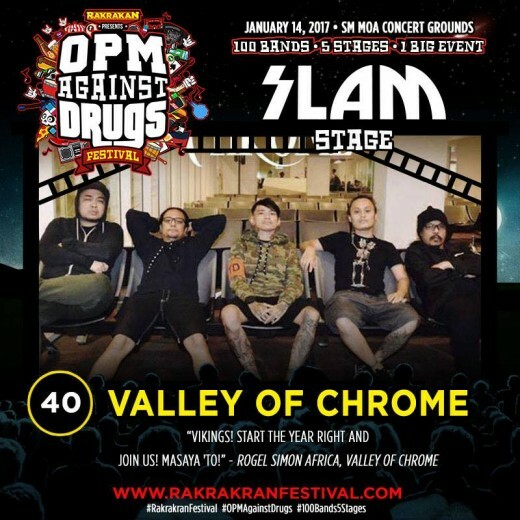 Ticket prices at the door are Php 600 and Php 2,000 for general admission and VIP. See you all at the Rakrakan Festival: OPM Against Drugs on January 14, 2017 at the SM MOA concert grounds! 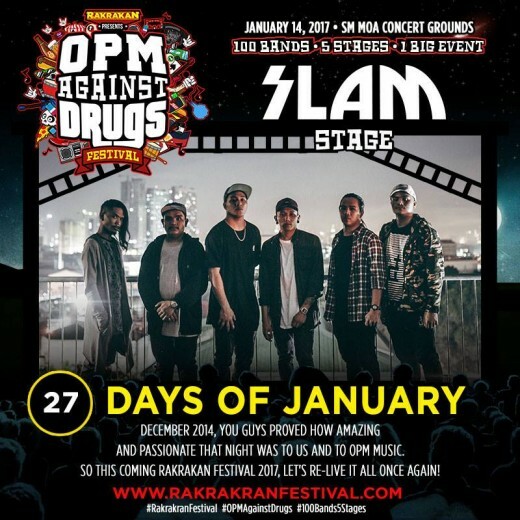 Road to Rakrakan Festival 2015: Rock ‘Til you Drop!